Man-lift equipment includes any platform, bucket or other similar rigging mounted on a vehicle and used to lift personnel above a jobsite. Though perhaps you are familiar with the term – and, indeed, it is in itself self-explanatory – it is worth noting some common examples of man-lift equipment, including aerial platforms and cherry pickers, which allow workers to access elevated areas like utility lines. 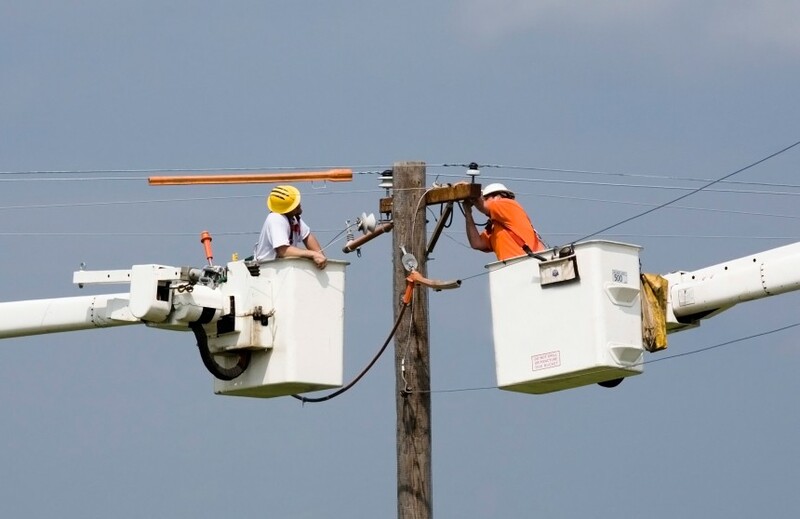 According to OSHA, deaths occur most often during man-lift operation when personnel are electrocuted or fall, or when the equipment itself tips over or collapses. Consequently, any employer that relies on man-lift equipment must require their employees adhere to strict safety standards in regards to using such equipment. The following are 15 tips for man-lift use that will improve safety on jobsites that require the use of man lifts. 1. Only personnel trained in the use of and authorized to use man-lift equipment should be allowed to do so. 2. Any maintenance and operation of man-lift equipment should adhere strictly to the instructions published in the manufacturer’s manual. 3. All man-lift equipment should be allowed a “warm-up” period prior to each use. The lift’s hydraulics and controls should be inspected and tested daily to ensure they are operating properly and safely. Any case in which some portion of the man lift’s systems is malfunctioning should be cause for discontinuing use and seeking repair and should be subject to a formal and documented report. 4. Weight-limits, or “loads,” as indicated by the equipment’s manufacturer, should never be exceeded; the equipment should never be “shock-loaded,” or subject to sudden starts or stops. 5. Equipment controls on the lower or ground levels should remain untouched during operation, unless the employee in the man lift has given his permission to the contrary or in cases of emergencies. Such lower-level controls should function primarily as positive override. 6. Only in cases when such modifications are manufacturer-certified should man-lift equipment be “field-modified.” All other field modifications must not be permitted. 7. Any insulation the equipment came with must not be tampered with in any way, as typically this insulation is intended to protect equipment occupants from electrocution. 8. The vehicle to which the equipment is attached should never be moved until the equipment’s boom is lowered, its outriggers retracted and basket secured, and no employee continues to occupy it. 9. The emergency brake of the vehicle to which the equipment is attached must be set at all times when the man lift is in use and must remain set for the duration of the man lift’s use. Added protection from outriggers and wheel chocks should also be implemented. 10. All outriggers used in connection to a man lift must sit on pads or solid surfaces. 11. Again, employees must never be on a man-lift platform or in a bucket when the vehicle to which it is attached is moving. Despite the possible imaginings of some adventurous personnel, “riding in the basket” is more life-threatening than it could ever be “fun,” and the equipment should never be treated as an amusement ride or extra seating for the vehicle. 12. When the vehicle to which the equipment is attached rests on a hill or other incline or decline, wheel chocks must always be used, regardless of whether outriggers are also used. The vehicle to which the equipment is attached should always sit level when viewed from behind the vehicle prior to the operation of a man lift. 13. If the slope of the incline or decline is to such an extent that the vehicle to which the equipment is attached cannot sit level when viewed from the rear, the man lift must not be used on the jobsite, and some other system for reaching the elevated area must be considered. 14. Personnel on or within a man lift should never attach themselves or the equipment to nearby structures or objects. 15. Personnel should only attach body belts or harnesses to a boom-attached lanyard. Such harnesses should only be intended for fall restraint, not to stop a fall completely. Although it’s near impossible to remove all hazards from a job site, strictly enforcing safety guidelines can dramatically reduce the chances of injured workers and damaged equipment. If you are planning to invest in man-lift equipment, be sure to make these 15 rules a part of your safety program.